It's sometimes hard in an RPG Maker game to tell who's talking. Either you can add in an extra little window showing the current speaker's name, or you can add it to the start of the message. Here's another way to let users know who's speaking. 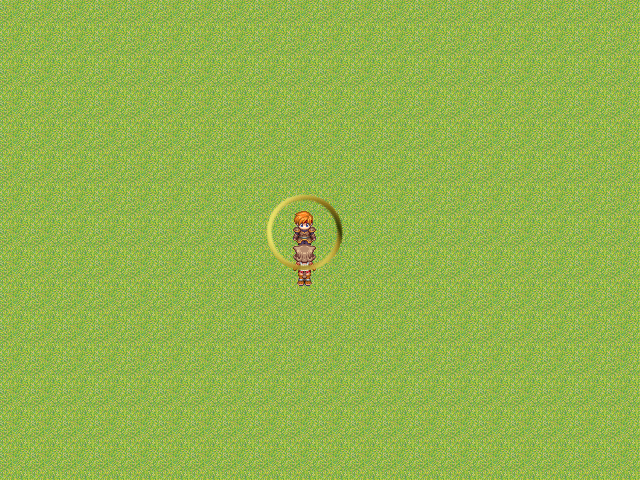 This script allows you to create auras on events, causing a custom image to rotate or zoom in and out around them. There are three different animations for the auras at the moment, but you can use any combination of these, allowing you to create many cool effects. Show an aura on the current speaker or a character that you wish to highlight. Use combinations of the three animation effects to create an awesome animation for your aura. Show auras with an easy script call. @_aura.bitmap.dispose unless @_aura.bitmap.nil? or @_aura.bitmap.disposed?